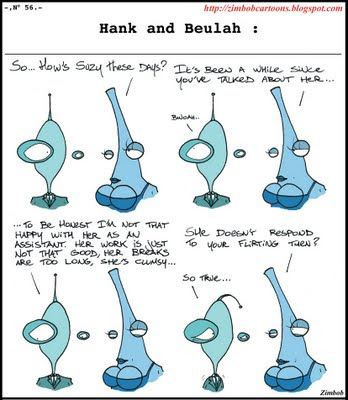 CARTOONS EN ILLUSTRATIES: Hank and Beulah 56: How is Suzy? DC, I think Beulah will not be responding to your flirting, unless you are turning into a smurf now. Suzy,....Mmmmmmmmm! Wat een lekker hapje!